Kumi Naidoo, who is the current International Executive Director of Greenpeace, answered questions on Reddit yesterday. There were a lot of internet trolls and plenty of downvotes going around. Here are some of the more interesting questions and answers. Naidoo has been a political and environmental activist his whole life. Born in South Africa, Naidoo became involved in the country's liberation struggle at the age of 15. As a result of his anti-apartheid activities, he was expelled from high school. In 1986, Naidoo was arrested and charged for violating the state of emergency regulations. He went underground for one year before finally deciding to live in exile in England. After Nelson Mandela's release in 1990, Naidoo returned to South Africa where he, among many other things, worked on the legalisation of the African National Congress. From 1998 to 2008, Naidoo was the Secretary General and Chief Executive Officer of CIVICUS: World Alliance for Citizen Participation, which is dedicated to strengthening citizen action and civil society throughout the world. 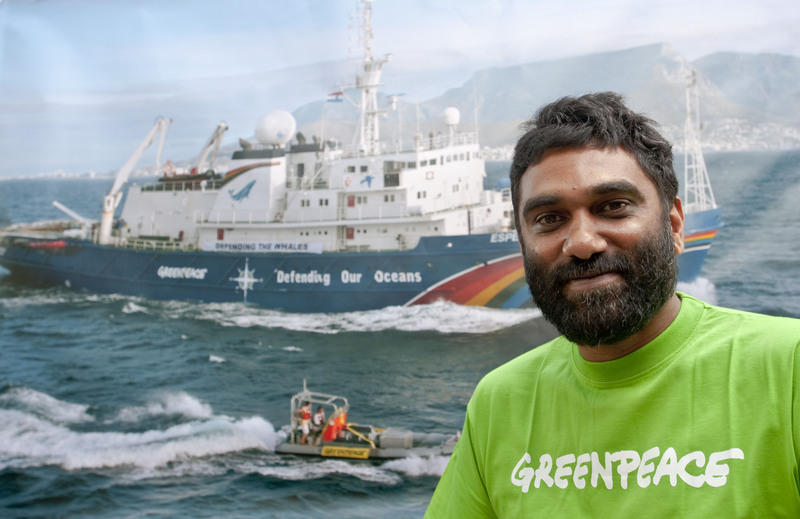 Naidoo has worked for Greenpeace for several years. He was involved in the development of Greenpeace's work in Africa and became a board member of Greenpeace Africa when it opened offices in Johannesburg and Kinshasa in 2008. But he is probably most known for his recent actions in the Arctic where he climbed an oil rig last August in the Russian Arctic to protest against Gazprom's plans to drill there. A year before that he was arrested in Greenland and spent 4 days in prison after entering an exclusion zone and scaling an oil rig, operated by Cairn Energy off the coast of Greenland. Naidoo became Greenpeace International Executive Director in 2009. Reddit is a social networking and link-sharing site where registered people can submit content, post comments, and vote stories and links up or down to rank the posts after popularity. Reddit consists of a few large "subreddits" such as the politics, aww, and the atheism "subreddit". Users are also able create their own communities on the site and join other "subreddits" with content they prefer to see. One of the most popular "subreddits" is IAmA ("I am a") where users prompt others to AMA ("Ask me anything"). For example, both Barack Obama and Jill Stein, who was the Presidential nominee of the Green Party in the 2012 US election, have done AMAs on Reddit in the past. Reddit user baghii asked: Hi Kumi, I saw your video about helping to end violence against women, how do women's rights connect with your work on environmental issues? A: Hi Baghii, Even the CIA and Pentagon now accept that the biggest to future peace and security will come from the impacts of climate change. We know that all conflicts affect women and children disproportionately. And it that sense the struggle for climate justice and the struggle for gender justice are intertwined. There are several other examples to. Working for sustainable agriculture in Africa is not possible without taking into account that the majority of African farmers are women. darkestsideofthemoon asked: While you advocate sustainability and homegrown foods, why not outright veganism or at the least vegetarianism? A: At Greenpeace we want the world to switch to ecological farming in order to get out of fossil-energy dependency in agriculture, GE and toxic pesticides while feeding everyone with a healthy diet. We need also to reduce the huge food waste (at least 30% of the food produced in the world never feed anyone) as well as reduce meat (over)consumption especially in continent or countries like north-America and Europe. Obviously vegetarians and vegans should be congratulated for their contribution and more people should also be encouraged to do so. Current meat-eaters should also be encouraged to reduce their meat consumption and shift to meat that is fed with organic products and that guaranty better animal treatment. However, we have also to acknowledge that some animals (raised on pasture) are also required for fertilization of the soil and help with some of the tasks especially as we need to get out of our oil-dependency. You can read our document on ecological livestock here. Bananamoneyad asked: What is the most effective method of advancing a cause? It seems that you've worked for a number of different causes, i.e. anti-apartheid, women's rights, and now environmental issues. Are protests actually effective, or other methods such as lobbying and communicating directly to the corporate or government level a better use of time? A: We always need a toolbox or menu of activism that has several elements. Effective activism is about aligning these different strategies. However, without peaceful civil disobedience I do not think we can push our governments and business leaders to change as fast as the science says we MUST CHANGE. surfstoked4 asked: What's the one thing you do consistently (personally) that you feel has a biggest impact on the environment? A: Invest and engage with young people because they genuinely "get" climate change and I think it is young people who will save this planet and sadly it is the adult generation that is living with no sense of intergenerational solidarity. pierluc asked: When I talk to Greenpeace members or employees (I am an ex-one), they often talk about Greenpeace's victories (obviously). So here's my question: what do you consider to be Greenpeace's biggest failure? No question, Greenpeace as an organization with human beings serving it has made tactical and other errors of judgment over time. However, history has shown that Greenpeace has been at least 20 years ahead of time in terms of raising the alarm on pressing environmental, social and security issues. Different people will answer your question differently. For me the biggest error we made in the early days was not always working in a harmonious partnership with Indigenous peoples and I am pleased that we are building bridges and are working with indigenous peoples who have been the best stewards of the environment historically. logicop asked: Do you believe reducing human population growth is critical to curbing climate change? BENWILEY4000 asked: What happened in your life that made you want to climb oil rigs and not just sit around like a normal person? p.s. proud member of the greenpeace usa student network here! A: I read a Mahatma Gandhi quote as a teenager that said: We shall pass this way but once, any good therefore that we can do, or any kindness we can show, let us do it now. Let us not neglect it or defer it since we might never walk this way again. I have also lost friends and family in the struggle for justice in my own country and elsewhere and their memory inspires me to keep on struggling for environmental and social justice. I never really wanted to climb an oil rig in the arctic -- really not a natural place for a boy from Durban. There are many trite answers all of which are in there way true: for example 'for evil to triumph all it takes is for good men and women to do nothing". i paraphrase of course. The insanity of arctic oil drilling cannot go unchallenged. The thought that we would misinterpret the melting of the arctic ice as an invitation to drill and spill rather than a warning to stop burning fossil fuels is a defining moment for our civilization. We need to heed that warning, we need to take action, and we need to say to the oil industry 'you go no further'. I grew up under apartheid, inaction was not an option. While times where hard, lives were lost, the cause was just and inspirational. Those memories and the great many friends and inspirations drive me on. Splenda asked: I haven't seen Greenpeace saying much about global warming's "new math "--the idea that we can only burn carbon at present rates for less than ten years, and that we must write off 80 percent of fossil fuel reserves completely. Why not? A: Global warming's "new math" makes clear that we simply cannot allow much of the fossil fuel reserves to burn. A report we published this year "The Point of No Return" identified the 14 biggest fossil fuel projects in the world that must be stopped to avoid catastrophic climate change. And that's why we're working, alongside many allies, to stop fossil fuel extraction and transport projects like Arctic drilling, tar sands development and the Keystone XL pipeline, and massive coal mining and export proposals in the United States and Australia. 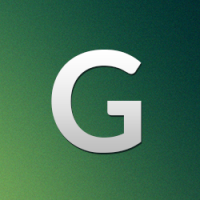 dsfgorg asked: Are you scared at some point that greenpeace will be too big for its own good? With that I mean the massive machinery that needs to operate it with desk-people rather then activists? A: Great question and one we constantly ask ourselves. As an organization it is always possible to lose sight of your purpose and get caught up in your own survival, to get caught up in the systems needed keep the organization healthy. Fortunately, we have a great many passionate and involved activists, volunteers and supporters who help us keep it real and maintain the balance. Our staff certainly don't just sit behind their desks, most of them can't wait to get out and take action, after they have completed the meticulous research and arrangements to make sure nonviolent direct action happens at the right time, in the right place for the maximum change. Take a look at our web sites you will see that every day, together with our supporters, we are out in the world taking action for change. sehric asked: With the increased attention being paid to geoengineering techs (specifically research programs into Solar Radiation Management) at universities and gov agencies in the US, Canada, Europe and China, and the funding coming from folks like Gates Foundation, Exxonmobil, etc, and even inclusion in the new IPCC AR5 draft, isnt it time that civil society engage the public on this? A: Climate change is a geoengineering experiment with very frightening consequences. We need to work with nature not against it. We should harness its energy rather than seek to control it. Geoengineering is an extremely dangerous distraction from what we actually need to do to stop runaway climate change. What are the chances that governments will suddenly be strong and brave enough to act on behalf of people and the planet just because some miracle technology emerges? The reality is, we already have the technology to solve the problem"”renewable energy like wind and solar, and systems that put people and the environment first. ggsmith asked: I've seen videos of you guys dancing and partying on your yacht and wearing stupid costumes, accosting people on the street. Isn't that immature? Do you think that stuff is effective? A: The video that was done on the Rainbow Warrior to gangnam style was in my judgment a good attempt to take our message of Ocean protection to people who are not thinking about activism or environment but appealing to their own interests. Gangnam style took the world by storm and we were using the video to reach out to the supporters of that. I have learnt that good activism is not about trying to be pious and too serious but connecting to people's consciousness rather than projecting our consciousness on the people we are trying to mobilize. agoldwynn asked: How are you thoughts about Greenpeace being considered as the New World Order Propaganda? A: Greenpeace was influenced by the quaker movement in since its early days which calls for BEARING WITNESS against injustice. We base all our interventions on objective science and research. Do we occasionally get things wrong? Of course we make mistakes. But we do not engage in conscious misleading of people like some of our governments and businesses often do. mrdarren asked: Given that we've seen recent violence directed towards the LGBT (Lesbian, Gay, Bisexual & Transgender) community in Russia - apparently condoned by the authorities who have pushed through anti-LGBT legislation - and that this appears to be part of a wider move by the Russian authorities to close down democratic space - a move which has also impinged on the rights of NGOs to act within Russia's borders to protect Russia's wider interests - do you, Kumi, who has been active in Russia against the incursions on the Polar region, see linkages between the environmental and social justice movements, especially around the issue of sexual self-expression? A: The links between social justice and environmental justice is fundamental and at Greenpeace we have been arguing that there must be a connection between human rights, environmental sustainability and poverty. To try and restrict rights of the LGBT community is fundamentally wrong and I have been personally inspired by the resistance we have seen to these moves and the inspiring solidarity offered by people around the world to those who have been victims of such homophobic interventions, which I consider conscious distractions from the real issues facing Russia and the world. IrishPidge asked: Greenpeace and most of the broader environmental movement has long been opposed to nuclear fission, for reasons of safety, proliferation, grid integration etc. Any thoughts on what GP's attitude is likely to be to potential future tech like nuclear fusion? Does any sort of nuclear reaction necessitate a negative response, or do you think changing tech leads to changing attitudes? A: Even those who truly believe in nuclear fusion, admit that it will not be available for large scale energy production in the next 50 years or so. Irrespective of the potential dangers that are associated with the technology (there is no knowledge yet on e.g. the amounts of nuclear waste), we do not have the time to wait and see whether this will work or not. We need to shift our energy system to a clean and sustainable one in order to reduce greenhouse gas emissions, and we need to do it now. We have the solutions to our energy needs now, we have renewable energy sources that will not only meet our needs, and they will fuel economic development and can be deployed in developing countries to help lift whole populations out of poverty. Fusion can't do that. It can't do it now. Why would we wait for yet another nuclear promise when we can take a renewable energy guarantee. The full AMA with all the questions and answers can be found here on Reddit.